© Betsy Reyes Princess the dog pretends to be a stray and waits outside a McDonald's in Oklahoma City, where people give her free food. Reyes decided to catch her dog in the act. 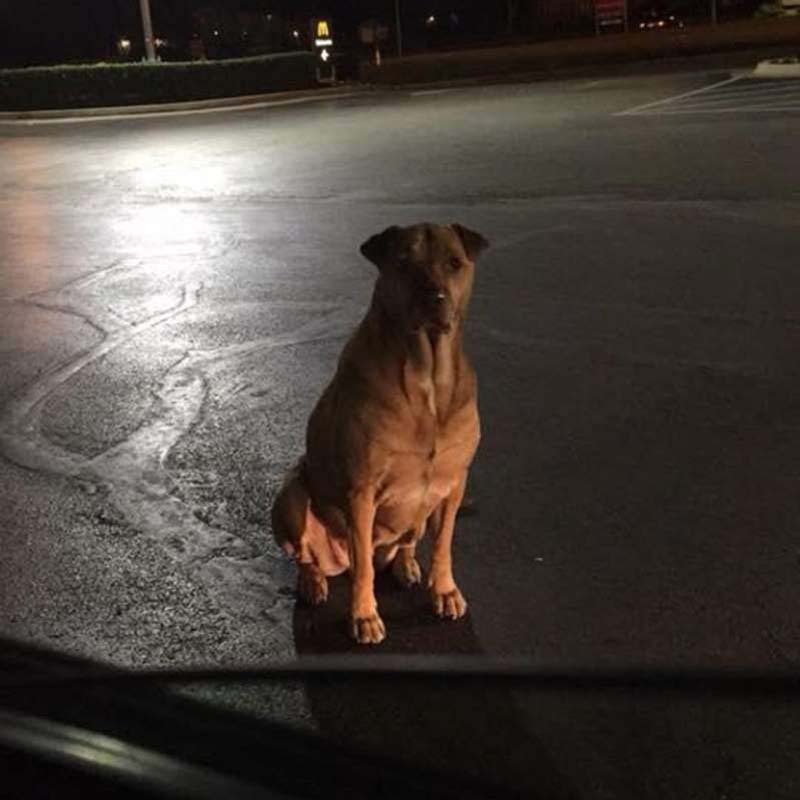 She drove to McDonald's on Monday night night and found Princess there, waiting to be fed. A woman was seen reaching out of her car window to throw Princess some food. Reyes posted video of Princess caught red handed -- or red pawed, rather.